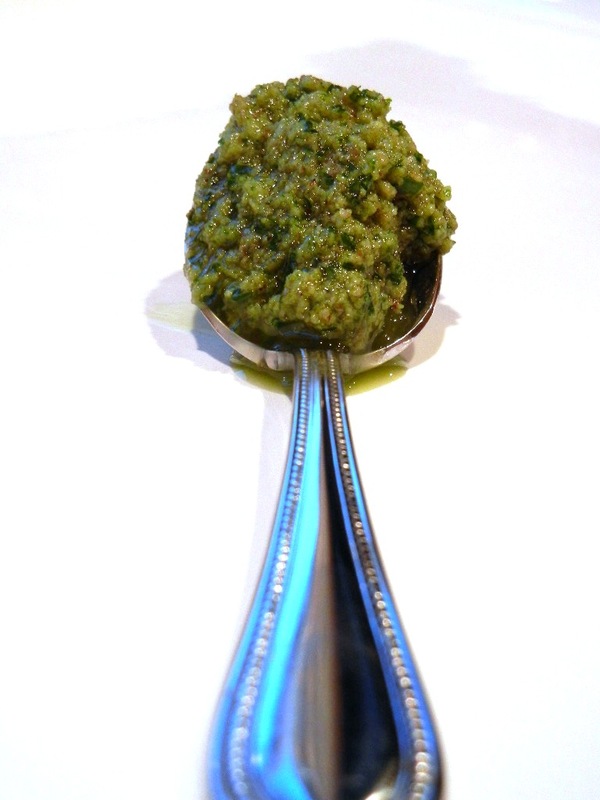 This is the most marvelous thing to put on top of pasta, fish, crispy duck breasts, wild rice. Oh goodness. It’s good on anything. I’m planning on putting it on top of some eggs and cream cheese and bagels from The Bagel Tree tomorrow morning. It is many times like this that I feel very much like Nigella Lawson in the final few shots of her television program, greedily going through the fridge, late at night, slathering spicy spreads on whatever it is that she cooked that day. But you know, the woman really knows how to cobble together a bite. And I do, too, if I do say so myself. This little spread will work wonderfully on lots of things. And it comes together with just a few ingredients and a fast whiz in the food processor. Moments, really. It might strike you as esoteric, caramelized endive. But let me assure you that it is entirely devour-able, and not in the slightest way effete. And the New Year is a perfect time to delve into comforting vegetarian dishes. I just know you want to ease into your new-found resolve to eat more veggies, but dammit, it should taste good and be filling. In this risotto, the endive is left to caramelize in a separate pan, given only a bit of olive oil, a garlic clove and salt to help it achieve its golden color. Do this and you are rewarded with what looks a whole lot like oxtail and onions, only unabashedly vegetarian. And simmering in another pot, a simple elixir of water, parsnips (crucial sweetness, in my opinion, to balance the bitterness of the endive), onion, bay and some seeds from the summer’s past garden (corriander in this case) round out the quick stock. 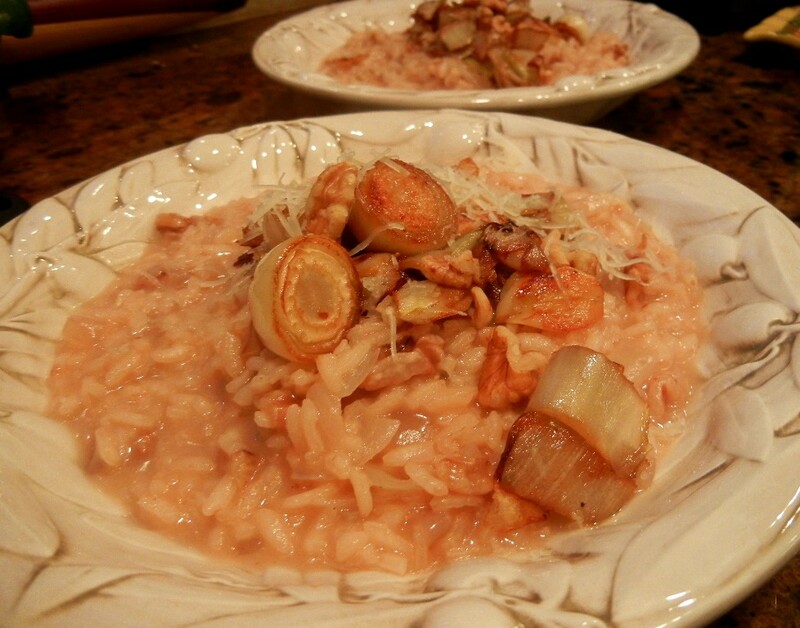 Combine it all and you have yet another version of one of my favorite things to cook for my family: risotto. It is, after all, my lifetime dish. One of those things I want to master perfectly before I die. After all it is resolution season. PK Tip: This dish is entirely versatile. Sub kale and pecans for a thoroughly American take on the dish; radicchio and chestnuts for a U.K. variation.